On Sept 11, swissnex China had the pleasure of welcoming 37 EMBA students from the University of St. Gallen. The delegation hoped to gain from their briefing at swissnex China a comprehensive understanding of the cultural dimensions of business collaborations between Switzerland and China, especially in the context of innovation and management practices. Many of the EMBA students were eager to bear direct witness to the fast-paced digital transformations that is currently taking place in China. Mr. Erwin Lüthi, Deputy Consul General of Switzerland in Shanghai, opened the session with his presentation on Sino-Swiss relations and Swiss presence in the Yangtze River Delta to the students. He also shared his special insights on the latest trends and developments in China on a governmental policy level. Mr. Erwin Lüthi gave his insights on Sino-Swiss relations and Swiss presence in the Yangtze River Delta. Following Mr. Lüthi’s presentation, Ms. Rahel Gruber, Operations Manager and Mr. Danli Zhou, Communications Manager from swissnex China introduced the mission of the ‘Science Consulate of Switzerland in China’, as well as activities in the past ten years in connecting the dots between Switzerland and China in the fields of education, research and innovation. The audience were particularly intrigued by the sheer scale of digitalization occurring in China, and posed a number of questions regarding the opportunities and challenges of Chinese market entry for Swiss enterprises. 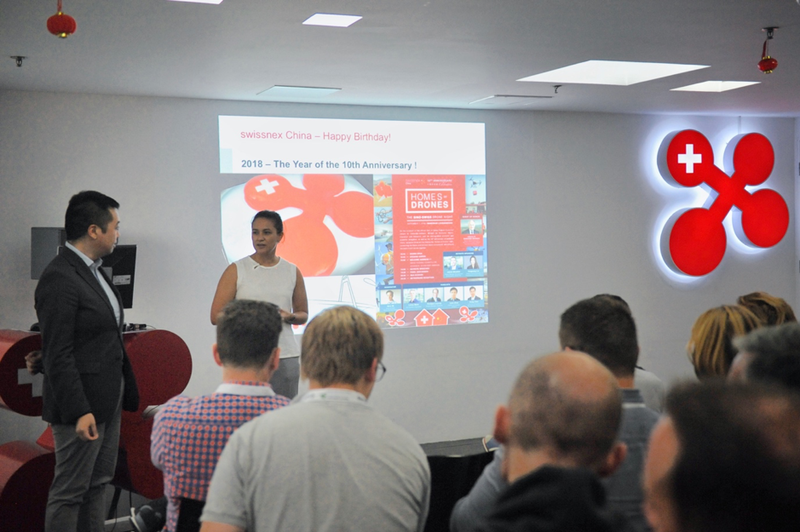 Ms. Rahel Gruber and Mr. Danli Zhou introduced swissnex China to the EMBA students. After coffee break, followed by guest speaker Mr. Tom Tiecheng Yu from Johnson Controls Inc. gave a presentation on the topic of “Human resource management in a dynamic environment”, which included the macro human resource context, implications and human resource management under diverse cultural backgrounds. Moderated by Ms. Ying Gu, Mr. Tom Tiecheng Yu gave his presentation on HRM practices in China. The majority participants of this program are aged between 30 and 50 and possess on average 12 years of professional experience. The assignment enwrapped in their study trip in China was “How do we have to adapt our business model in order to be successful in rapidly changing environment – lessons learnt from China”. They were dynamic to pose numerous questions and active to search for clues in the Q & A session after the presentations. We wish them a meaningful trip in China and look forward to meeting next year’s class!